A very important part of the TPE Clyde Race Tracker tour were the catering trolleys onboard 350 410 throughout the day. These did a roaring trade to keep everyone happy and all proceeds went to the Railway Children charity, adding to a massive total raised by the event. 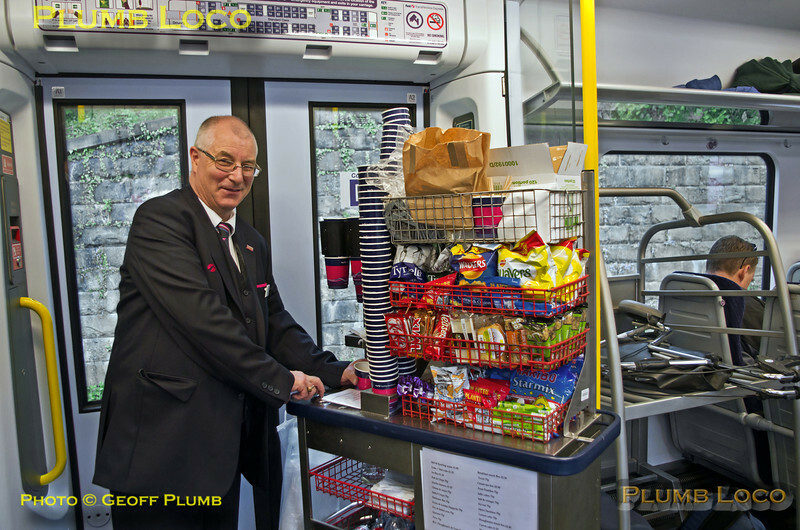 Skytrack steward David James has charge of one of the well-stocked trolleys. 09:17, Saturday 26th April 2014. Digital Image No. IGMP3585.